Own one of 750 die-cast celebrating the 50th Anniversary of the Boss Mustangs. 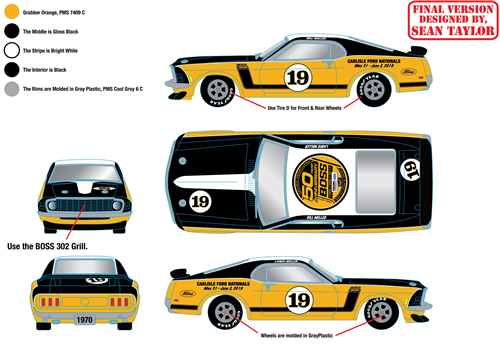 These 1:64 scale collectible keepsakes cost $15 per item and MUST be picked up in person at the Ford Nationals in June. You may also call the Carlisle Events office at 717-243-7855 and place your phone order today. FYI - the limit for orders is six (6) per person. The office is open Monday-Friday, 8 a.m. to 5 p.m.. We’ll process your phone or web pre-order and set it aside for pick up in the Carlisle Store in Building T once you get to Carlisle!